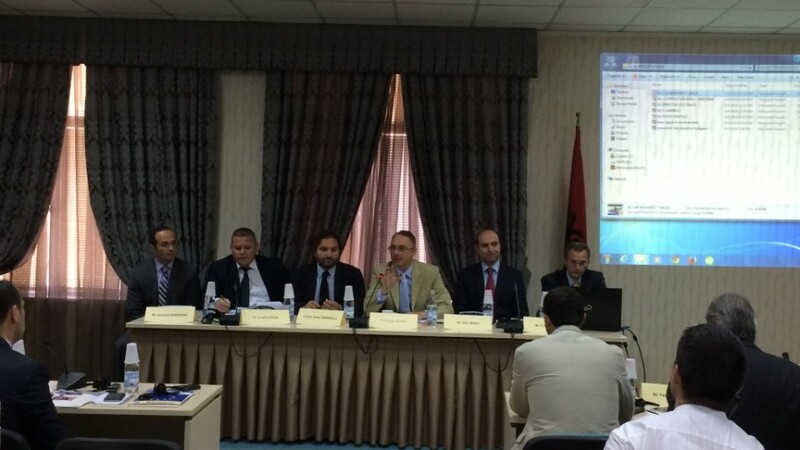 Within the framework of Component 2, activity 2.1 “Assistance to enhance the capacity of the ASP and GPO in investigation and prosecution of Cybercrime” of PAMECA IV Work Plan, in was organised a training on “Albanian and Italian experience in investigation and prosecution of Cybercrime”. The training took place on 10 and 11 June 2014 respectively at the premises of General Prosecutor’s Office and Albanian State Police. In the first day of the training participated prosecutors, judges and judicial police officers. Distinguished experts as two Italian prosecutors, three representatives from Polizia Postale e delle Comunicazioni and an Albanian prosecutor served as trainers and speakers to bring the Italian and Albanian experience on investigation and prosecution of Cybercrime. The experts introduced international legal instruments on Cybercrime suchlike Council of Europe Convention and Directive 2013/40/EU, the phenomenon of Cybercrime and its trend, investigation techniques on different typologies of Cybercrime and digital evidence. Best practices on Cybercrime investigations were introduced illustrated by case studies. The second day of the training was more technical and operational and was designed for the staff of the Sector against Cybercrime at Albanian State Police. It aimed at sharing the mutual experience on Cybercrime investigations from a practical point of view and getting additional knowledge from Italian colleagues.